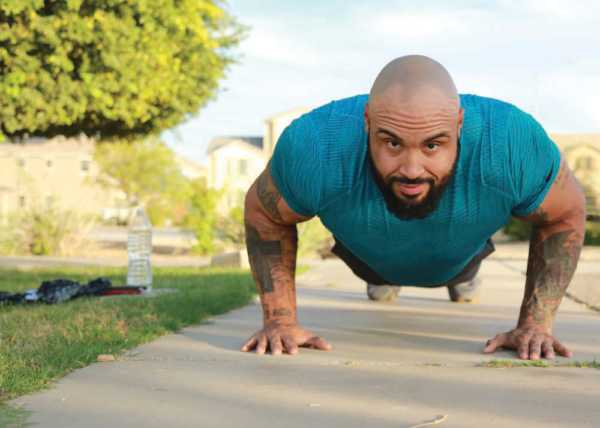 High-Intensity Interval Training (HIIT) has been very popular over the past few years, and if you are participating in my I Am Possible Challenge, you’ll notice that your workout guide has an entire section on HIIT cardio. Whether you are new to the game or been working out for a while, HIIT is a type of training that you can benefit from, whether you perform it alone or in conjunction with your already established workouts. I personally like to incorporate my HIIT cardio into my weekly workout routine, on top of my regular workouts. Whether I am doing a full body workout or working through leg day, I always like to be sure that I get in a session of HIIT cardio. HIIT stands for High-Intensity Interval Training and is a type of training that strategizes cardiovascular exercises alternating between short periods of intense anaerobic exercise with less intense recovery periods until you reach your point of exhaustion. 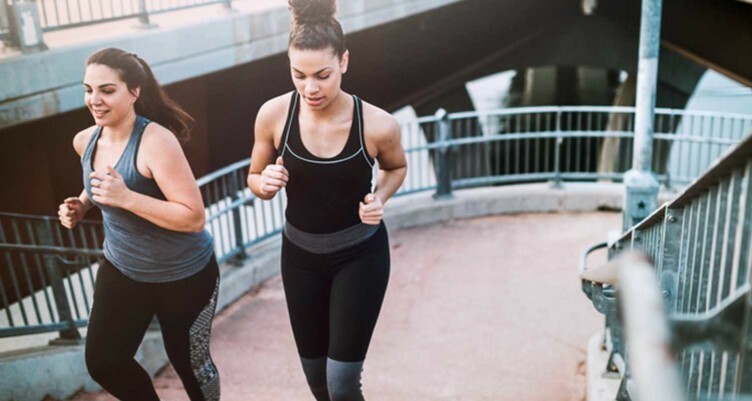 A typical HIIT routine lasts anywhere between 15 – 20 minutes, making it the perfect workout for someone who doesn’t have time to spend an hour in the gym every day. HIIT is unlike traditional cardio, which would have you running on a treadmill or other similar machine for 20 – 40 minutes. It is known to be more effective and more flexible, making it easier to fit into your current lifestyle. Unless you are going at full intensity for your entire cardio workout, you will burn more calories with a HIIT workout, or HIIT cardio, than you would with steady cardio. Not only will you burn more calories, but you will also be building lean muscle at the same time. Although the key to losing weight is nutrition, your workout will help you burn more calories and build muscle. Remember, you can’t out-train a bad diet, so be sure you are eating a diet made up of whole food. If you need food ideas or even workout ideas, sign up for Team Possible. I have countless recipes that taste good and will fit your diet. I also give you a daily workout and access to a Private group where you can get full support from my community and me. One of the best things about HIIT workouts is that they take very little time. One of the biggest excuses (and yes, I call them excuses) for why people don’t work out is that they don’t have the time. If you are doing HIIT workouts, you don’t need much time. These workouts can be completed in as little as 15 to 30 minutes a day. That is in the same amount of time as a short television show, and that is if you go for a long HIIT workout. No matter how busy you are, you should be able to find 15 to 30 minutes of downtime each day. There are many reasons why people don’t go to the gym, and when I started my journey, I didn’t go either. In fact, I didn’t go for an entire year, and by then, I had lost 100 pounds. Sometimes the gym can be intimidating because it is new and you don’t know what to expect. If this is what is stopping you from going to the gym, then gym anxiety is something you will need to work on to overcome. Another reason people don’t go to the gym is for the same reasons I didn’t. I simply was too big for many of the machines. At the time, I was over 600 pounds and 6’8,” and many of the machines at the gym just weren’t made for someone my size. The only thing I would have been able to use are the weights. e completed anywhere because there is no equipment need. You can do them right at home in your living room with no need to step foot in the gym. To enhance your workout, you can add in some weights, kettlebell, or even fitness bands. This is also a great alternative if you find yourself out of town and unable to get to a gym. There have been plenty of times where I have been traveling and had to get my workout done in my hotel room. Whether you are a beginner or a have been on your journey for a while like I have, HIIT is easily customizable so that the workouts can be adapted to any fitness level. Not only is it easily adaptable, but it is also beneficial to any fitness level. Whether you are trying to lose weight like I was or trying to build muscle like I am now, HIIT is a great tool to use to help you get to your goals, especially when combined with other forms of exercise. Although there are a lot of plus sides to HIIT, there can also be downsides. Because this is a high-intensity type of workout, if not done correctly it can lead to injury, if you are obese and don’t adjust the level to fit your body. HIIT is great for everyone, but you also need to be aware of your own limitations. Your workouts shouldn’t be easy, and they should leave you feeling sore and uncomfortable, but there are limits. If you have a lot of weight to lose, begin with adding HIIT in 2-3 times a week and workout up from there until it becomes a daily routine. You can even start with steady cardio and work your way up to high-intensity, or you can do a combination of both. Just be aware of what you can and can’t do and allow yourself to progress in a reasonable time. We all want immediate results, but slow and steady will lead to lasting results. Take a look at the workout below. The the following workout is a very challenging HIIT workout, but you can easily adjust it to your own fitness level by adjusting the reps of each exercise. For example, the first exercise is cardio and consists of doing 25 minutes on the treadmill. If your limitation is 10 minutes, fine. If you can get the 25 minutes in but only at an incline of 5, do that. Following that, you have 50 jumping jacks. Can’t do 50 but can do 20? Do that. 20 jumping jacks are better than none. If you can only get through the workout once, then at least you made it through. Try to go longer next time. If this workout is too easy, add to it. Instead of doing 50 jumping jacks, do 100. Instead of doing 30 push-ups, do 50. The idea is to do what you can and build up so that you are continually progressing and challenging yourself. Finish off with sprinting for 1 min followed by walking for 1 minute.